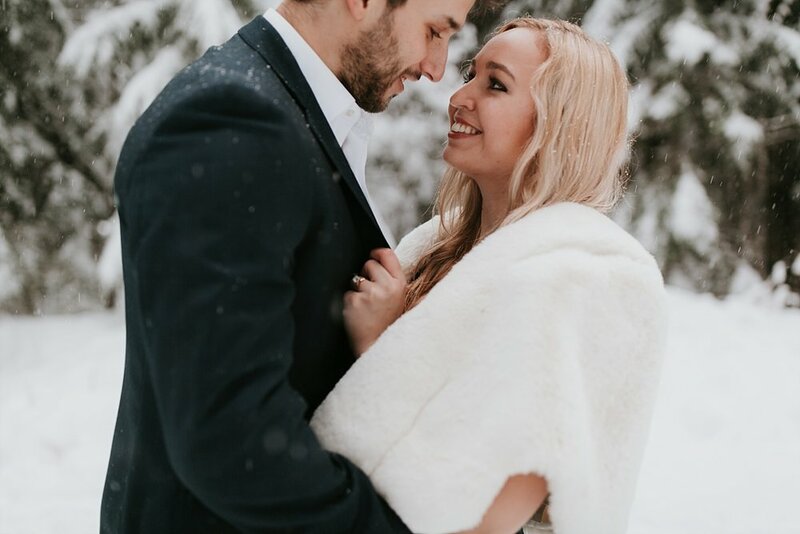 Guys I cannot make this up.. we were in a SNOWGLOBE for this shoot and it was the most magical thing I’ve ever seen! None of us were expecting the snow like this, and we also didn’t realize the road to get to the parking lot would be a wall of snow, so it took a little work to get out to the lake. Once we did, oh my goodness was it worth it! It’s so fun for me to go back to the same locations with different weather/lighting/time of day and see how truly different all of the sessions turn out! Monica + Dustin were such a joy to work with, and it was an honor to spend time with them the day after Christmas! They are living in two different states while he finishes school in Tennessee and she starts her new job in Dallas, so the time together was just the sweetest! I cannot wait for their wedding and to celebrate these sweet people!